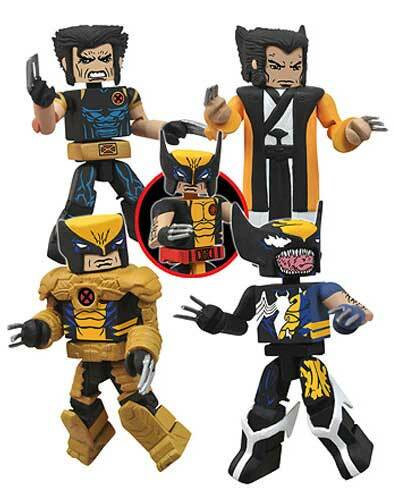 Mini Mates are always a lot of fun and at San Diego Comic Con this July there is an exclusive Wolverine set. The most awesome is Wolverine an orange kimono. That’s his version of business casual. The Wolverine-as-Venom is pretty cool as well. 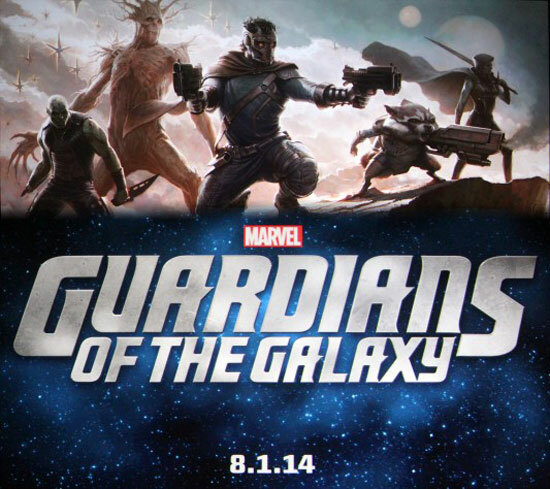 I’m not sure if the Space Suite Wolverine really looks more like Wolverine wearing the skin of the Thing. And as we all remember, admantium does in fact cut up the Thing very nicely. The set is rounded out with his current costume and him in his Ultimate Universe attire. 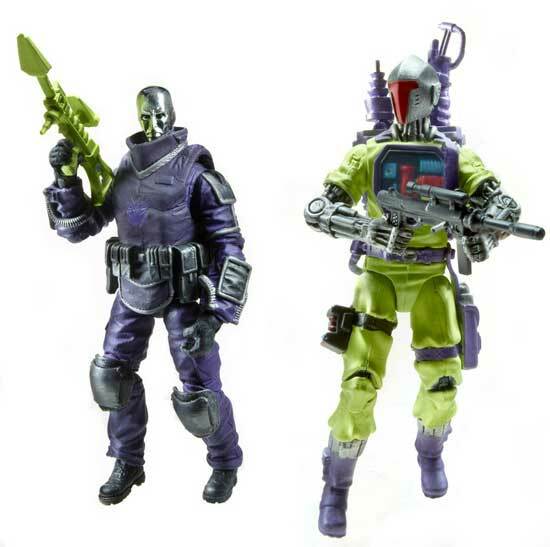 DC Collectibles (the former DC Direct) has this set of 3.75″ action figures as a San Diego Comic Con exclusive. But what’s more interesting than that is that this is part of a new line of convention-exclusive action figures. This new line of figures can only be bought at conventions, which I don’t know how I feel about. I think they look really cool, mostly because they are the same scale as the Marvel Universe line. This finally gives me the opportunity to integrate DC’s finest alongside their Marvel counterparts, GI Joe and even Star Wars. But, since this will be a super limited line, it will be pretty hard to collect. That I’m not too fond of. I’m sure people will be scalping these on eBay and at finer comic book stores everywhere. 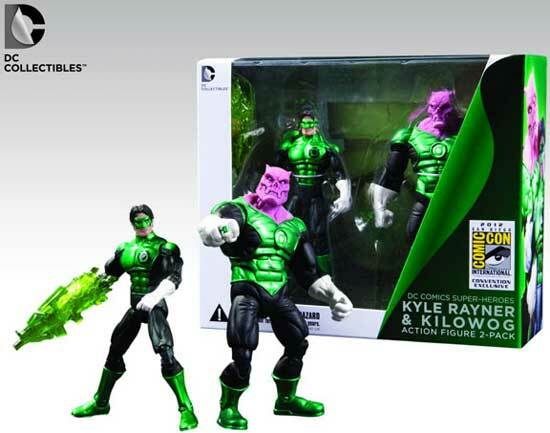 That said, I do think that Kilowog and Kyle Rayner look awesome. I like that the line is starting with two lesser known characters, appearing to wear their standard, non-New 52 costumes. They’re retailing this set at $25, which to me is a price point that just puts it out of consideration. However, if they release a Booster Gold and Blue Beetle set all bets are off. You can find out more about the line here. 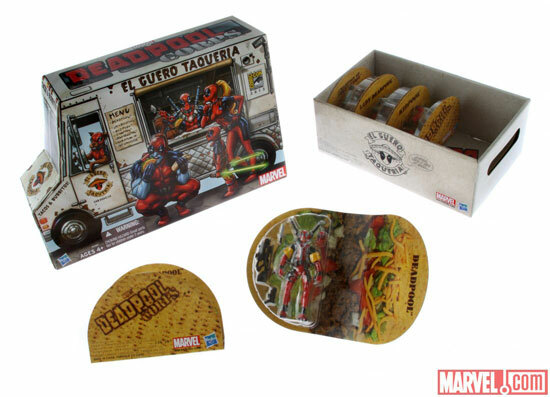 This San Diego Comic Con exclusive from Mattel is really cool. It’s a figurine set of the lead characters from Tiny Titans. I’ve been a huge fan of this series and have been sad to see it go. But this set is really cool. 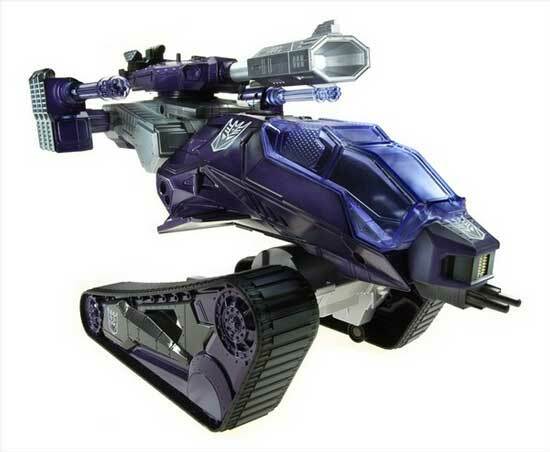 I try to avoid getting non-posable toys, but I just might have to get this.